MP Auto Body Repair previously known as Chippy Auto Repair is your trusted choice for auto body repair in Calgary. 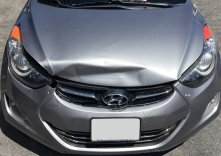 Whether it's a minor scratch or ding that's bringing you to our shop or your vehicle has light collision damage, we'll make every effort to quickly restore it to its previous, pre-accident/damage condition. Need a rental until your car is ready? We can help with that, too! You won't be just another customer when you bring your vehicle to our shop. Our courteous, trained auto body technicians will take the time to explain your options and answer your questions. 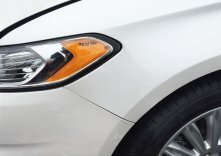 Our technicians can help with scratch and dent repair, bumper repair, paint chip repair and more. We offer a wide range of budget-pleasing services at our Calgary body shop alternative. There's no better place for fast and easy auto body repair in Calgary. 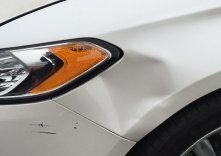 Our trained technicians will use specific techniques to restore your dinged, dented, or scratched bumper back to its pre-collision appearance. We use high-quality compounds to restore your vehicle's beauty. 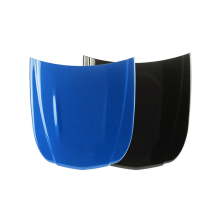 Our paint chip and scratch repairs are designed to create a smooth appearance. Minor fender-benders can cause damage that demands attention. 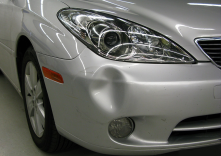 Our team will evaluate minor collision damage and restore your vehicle in the most cost-effective way. Our team is here to restore your vehicle to its original condition. We'll safely remove imperfections while taking steps to protect the surrounding surfaces. 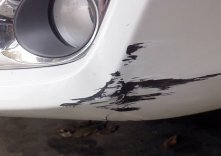 Don't pay high dealer prices when bumper repair isn't possible. We have a large selection of top-quality replacements that our skilled technicians can install at our shop. 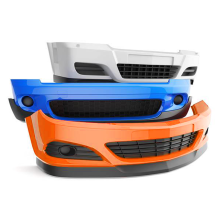 Is your hood dinged, dented, or damaged beyond repair? Whether you want something basic or a little more specific, we've got you covered with our replacement hoods. Don't settle for anything less than the best when it comes to fender replacement. 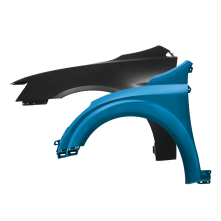 We offer an extensive selection of durable replacement fenders for your vehicle. We're a leader in auto body in Calgary because we know what matters most to vehicle owners - getting back on the road as quickly as possible. All vehicle restoration and repair work is done in a modern environment with up-to-date technology to streamline the repair and restoration process, further cutting down on downtime. You'll also be informed of our progress and know immediately when your vehicle is ready. When it comes to anything related to auto body in Calgary, vehicle owners can count on our team to do the work as quickly and affordably as possible. We're committed to making your experience with us a pleasant one from the initial estimate to completion. Give us a call today or visit our Calgary body shop during our convenient hours. 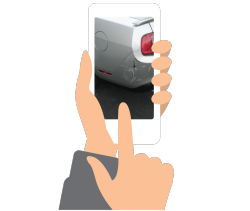 Send us images of your car damage and we can send you a quote. See how much you can save with MP Auto Body Repair. 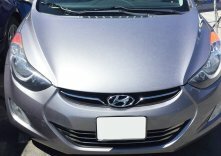 Our repair processes are designed to leave you with eye-catching results. Our repairs retain the value and beauty of your vehicle. Because your time is just as important as ours, we'll do everything possible to restore your vehicle as quickly as possible. Our quality is consistently top-notch and our prices are always up-front and significantly less than what you'd pay at other body shops. Thanks to our low prices, our customers often enjoy repairs that cost less than their insurance deductible. We help keep premiums low. Treating customers the right way is the only way we do business. You'll never have to pay for services you don't need at MP Auto Body Repair. We focus our attention on the area of your vehicle that needs to be repaired or restored. No other work will be done unless we have your approval. Your convenience is our top priority. You'll receive the same attentive service from our team for both drop-ins and scheduled appointments. We do more than just get the job done. Our approach to repairs and replacements means the original value of your vehicle won't be compromised. We have been working with Kelly and his staff for a few years now. We confidently send them our vehicles to repair and paint. Without reservation, we would highly recommend any of their services to anybody who asks! They have certainly acceded in workmanship, customer service, friendliness and overall business professionalism. We've had an excellent working relationship with Kelly and the MP Auto Body Repair crew for the last 2 years. They understand our business, and go the extra mile to make sure that my priorities are taken care of immediately. Customer service is a top priority and I love that they bring a personal hands on approach to their work. I would highly recommend MP Auto Body Repair, and especially Kelly and his team for their auto body touch up needs. MP Auto Body Repair has been a breath of fresh air for our dealership. The quality of work and the turnaround time has been amazing for us. Calgary Honda's inventory has never looked better with the help of MP Auto Body Repair. Their friendly and attentive staff make getting our repairs done easier and quicker than we have expected. They do such a quality job, we use them for all our repairs on new and used vehicles. I would recommend MP Auto Body Repair for anyone who requires body work or repairs on their vehicle. I just wanted to take the time to thank you for all the great work you do on our vehicles, as well as the fast and efficient service you provide to us on a regular basis. We get our vehicles back on time, in and out of your shop repaired to perfection, so we are able to continue to service our customers. The service is impeccable. 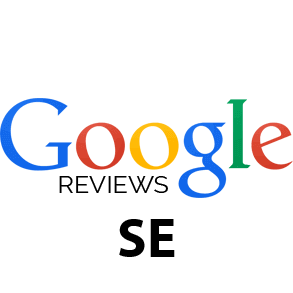 We look forward to continuing our relationship and would highly recommend you to anyone. Had someone door ding my SUV leaving a scratch and dent on the crease of my passenger door. I brought it in and Sean had a slot for the same day. In by 9AM and out by noon. I can't even remember exactly where the dent was. I honestly cannot tell the difference with the fix. Plus it came in under the cost of the estimate. Thanks so much! Needed my bumper fixed up and went to MP Auto Body Repair, they were very friendly and gave me an estimate right away. The price was less than half of what a body shop would charge me! 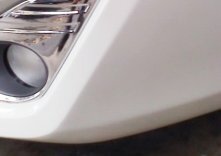 They did my bumper quickly and I was amazed at the quality of work! I highly recommend MP Auto Body Repair to everyone! Got some paint and body work done after I was hit in a parking lot. The quote was very much on the lower end compared to other shops in Calgary (half the price of other places). They did great work and the previous damage is not noticeable. I would recommend this place to others. Kelly at MPS was great to deal with, did exactly what he said he would and my car looked brand new. I would highly recommend MPS to anyone. 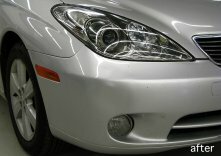 MP Auto Body Repair is your all-in-one source for auto body work in Calgary. No matter what make and model you have, we'll do our best to get your vehicle back to its prior condition. Call today to learn more about our services or visit our Calgary body shop alternative restore your vehicle today. * Please note that pictures don't fully expose the full extent of the damage. It is always recommended to come in person (no appointment necessary).